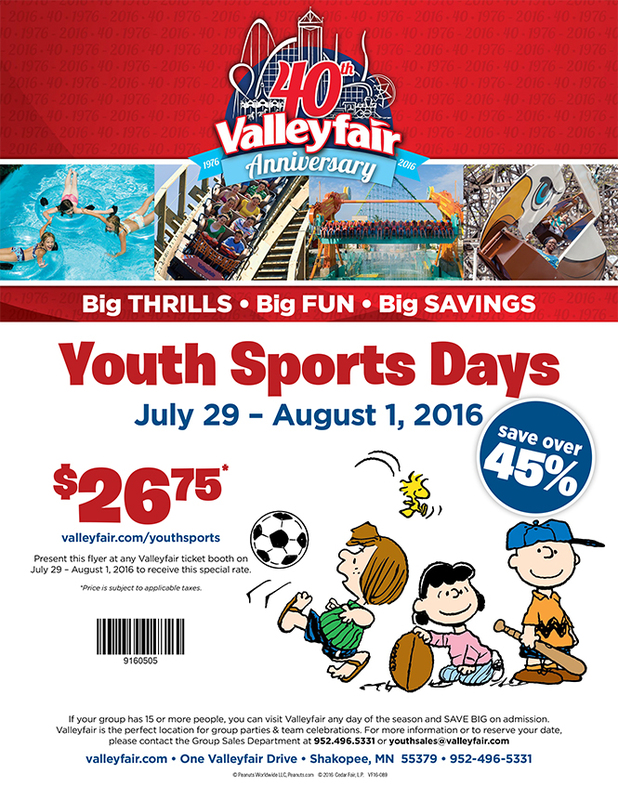 ​Valleyfair is offering a special ticket price to all Youth Sports participants and their families during our annual Youth Sports Days. Admission includes unlimited access to rides, shows, Planet Snoopy™ and the newly-expanded Soak City Waterpark! Print this flyer (here) and present it at any Valleyfair ticket booth to receive this special rate.